Hi beautiful divas and handsome men! This post is specially for the hair-obsessed people, like me. So friends are you looking for hairstyle ideas for a wedding, prom or other formal occasions? Or do you wish to try your favorite celebrity hairstyles? Hold on. Don’t just rush to a hairstylist or salon. You could try on hundreds of different hairstyle looks sitting right at your home. Don’t believe me? Well, you will. Just go through our list of Best Hairstyle Apps for both men and Women. Though it’s really hard to find one perfect app for hairstyles among tons available apps. 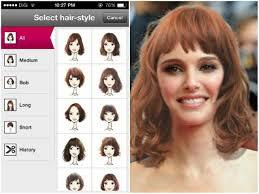 But we have dedicatedly searched and picked some of the best of all hairstyle apps for you. Below you will find the best hairstyle apps for both men and women. in 2018. Let me now show more details about the above-listed hairstyle apps. Most of these Hairstyle apps are free and available on both Android and iOS. And by the way, these hairstyle apps are for both boys and girls, men and women. So don’t hesitate using them. Hairstyle Mirror is the most unique of it’s kind. 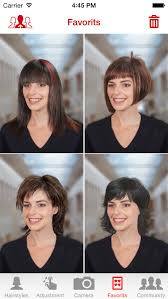 One of the most distinguishing features of Hairstyle Mirror is it works in a real-time manner. When you open HSM, it will open your phone’s selfie camera in an attractive interface and follows your face in real time. Just look in the phone or tablet and a new hairstyle pops-up. This hairstyle changer app has more than 100 hairstyles that are arranged in different categories like long, short, and medium. This app also lets you change the color and size of your selected haircuts to make them fit on your photo. If you want to check out how you look at different celebrity hairstyles, then you should definitely refer to Celebrity Hairstyle Salon app. It will load a model’s picture and let you experiment with different hairstyles before you make your final pick. You can even try new colors, change shapes and set newest fashion trends for the season. It is one of the best hairstyle apps available for both Android and iPhone users. Hair Zapp is a popular virtual hairstyle apps which allows you to make a virtual hairstyle on your smartphone for free. It is free and easy to use app which has listed unique hairstyles to apply on your hair. You can easily choose your favorite hairstyle and apply them on your hair to change your hairstyle.One of the best feature of this app is to allows you to compare your favorite hairstyles side by side. HairStyle Changer is another amazing app worth a try if you are looking to try out different hairstyles. For both Android and iOS user this app has different hairstyle techniques to change your hairstyle on your smartphone. 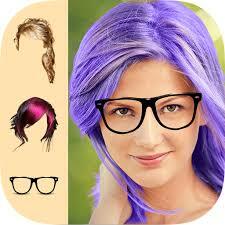 This app developed for both man and woman so that you can easily change your hairstyle in few seconds for free. This app shows pictures of the unique hairstyles for women. Some of the haircuts you’ll discover in this application are Buns, Braids, PonyTails, Vintage, Chignon, Curls, Bob, HeadBand, Twist. When you tap on the picture, the application will display a step by step guide on how to comb your hair as shown in the image. 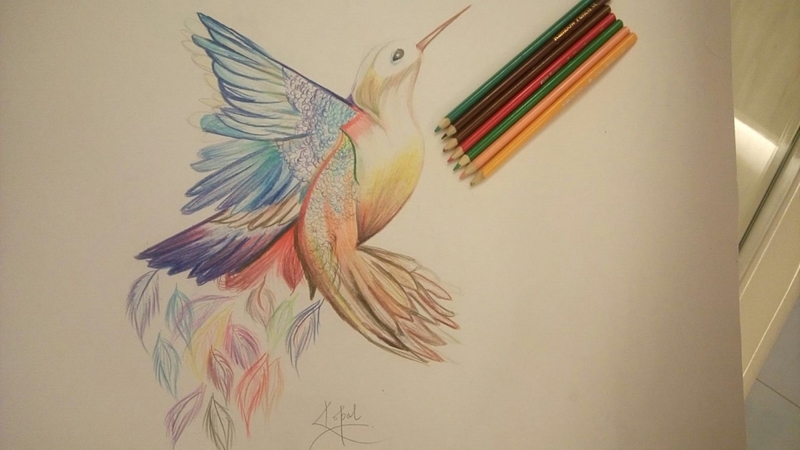 The pictures are loaded from the web. Thus, your phone must have an active internet connection when the app is running on your device. Don’t you wish to have hairstyle like your favorite celebrity? If yes, you are at the right place. With the Ultimate Hairstyle Try-On application, you can virtually try-on tons of different celebrity hairstyles and hair colors. Simply upload a photo from gallery or take a photo with camera and in seconds you can have your favorite celebrity’s hairstyle in your very own photo. And now you decide which one suits you the best and book your salon for a haircut without hesitating about how are you gonna look with this hairstyle. The Updo Styles app is packed with high-quality photos of updo hairstyles. There are 80 unique styles to browse. Each style has multiple poses ranging from front, sides and back views to give a complete picture of each style. Instructions aren’t given for the given hairstyle. The intent is to let your stylist recreate these amazing hairstyles. With Cute Girls Hairstyle enjoy 5-minute hairstyles that are super cute and easy to do. Whether you are looking for Simple Braids, French Braids, Dutch Braids, Waterfall Braids, Fishtail Twists or other with a little edge. 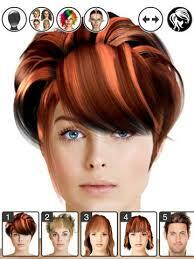 It has a good interface and is a very easy to use virtual hairstyle app. You can also get top best tips and top 10 most-recent video tutorials from cute girls hairstyles app. Virtual Makeover is all you need to try out different makeup or cosmetic products along with hairstyle for FREE. 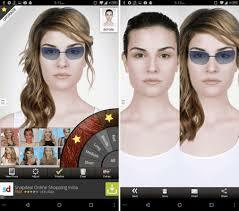 This free hairstyle app offers realistic cosmetics, hairstyles, and accessories to try-on. It is simple yet packed with many features. Choose a photo or take one using the camera. Perform simple calibration. Apply makeup products or try over 80 different celebrity hairstyles. Once you are done with the makeover, save it to your album and share with your friends and family. Discover the newest beauty looks and trends, learn essential makeup tips, and shop for amazing products on the Beautylish app. It has listed unique hairstyles, braids, nail designs, beauty tips with video so that you can easily get step by step process to use this app. There is also an option for forum where you can ask any question related to the app. So far we have discussed 10 best hairstyle apps of our list. Give a try to any of these apps and have fun with your hairstyle experiments. If you have some other hairstyle apps then let us know in comment section. Suggestions are always appreciated. Keep visiting this website for more such posts.